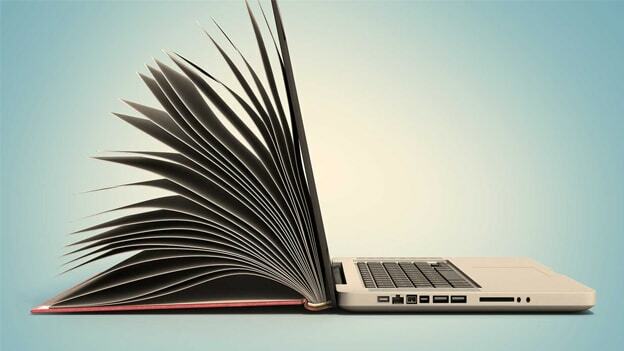 Modern learning mechanisms have been disrupted by social, digital, and mobile technologies and organizational learning and development departments have had to adapt to this change. In this context, Equiniti India launched its digital learning initiative with a goal to create an irresistible employee experience and give employees an edge in the marketplace. Equiniti India is the offshore arm of the Equiniti Group. Equiniti India team provides BPO, IT development & testing and other operational support such as Marketing & Sales Support, HR & Payroll, and Finance Shared Services to various Equiniti Group companies and clients of Equiniti. As with any talent process, alignment with business goals and employee aspirations was key to the company’s endeavor. The first step in launching the digital learning journey was to align the learning goals with the strategic business goals for 2017, this meant enablement of at least 75% of the staff through e-learning courses, improvement in the learning maturity model, and ensuring sustenance of learning. I believe that learning and development in India is not just about skills enhancement, it is also a powerful tool to engage and retain talent. At Equiniti India, we believe in learning through communities and collaboration which will add the value to the staff and create a peer learning environment. Leading a learning-culture transformation was thus on the top of the leadership agenda. An extensive effort kicked off and the required people, processes and technologies were setup to make the change happen. A thorough learning needs analysis was conducted with senior leaders and stakeholders through 150+ meetings under the leadership of Ashok Shunmugavel, the General Manager and Manikandan PK, the Training Manager of the company. A role-based competency model was put in place, and knowledge gaps were identified. Continuous engagement and dialogue ensured that training needs were identified based on what the employees wanted to learn. A role-based learning model was identified to meet the specific learning needs of different employee groups. The team decided to engage with Skillsoft since they were well versed with role-based training and understood the Equiniti business well. Skillsoft also had plenty of highly engaging video based courses with good course player features. Their targeted approach and extensive support was crucial in designing and delivering the desired digital learning platform. Although the partnership with Skillsoft was pre-existing since the company worked with Equiniti UK, the approach of Equiniti India was to narrow the focus on alignment with the personal aspiration of the employee. In order to create the “pull” factor for learning, an extensive communication campaign was designed to make employees curious. This campaign included online channels like engaging teaser mailers and video trailers and offline communication in the form of posters and danglers. The focus was on “E-learn, Equip and Evolve”. A quick reference card was stuck on every workstation on the eve of the launch with information about “how to access” and “whom to contact”. In addition to this, every employee’s computer was updated with a customized wall paper. After much buzz, a soft launch was initiated on 8th March, with subsequent roll-outs within teams. To celebrate the launch, a jumbo-sized cake with the EQI Digital Academy logo was cut. The L&D team staged an attention-grabbing road show on the virtues of digital learning. Each employee was invited to participate and an email containing the login credentials to the learning system was sent to each employee. 12 hours after the launch, the impact of the implementation was already being felt, 46 person hours of training consumption was tracked along with 21-course completions. Week 1 saw a plethora of classroom based orientation sessions on the ‘what, why and how’ of EQI Digital Academy. The team understood that any change leads to discomfort, and to make employees comfortable, query-resolution sessions were carried out through Skype, face-to-face, and WhatsApp. The L&D team went one step ahead and created learning paths i.e. a mix of programs with different delivery methods like instructor led learning (ILT), self-reading, on-the-job and e-learning courses. A monthly theme based E-learning drive was initiated to ensure sustained learning. The goal of the drive was to focus on one course per month against only one competency (technical, behaviour, project management & process and quality). These measures empowered employees to learn in the style and medium that they learnt best. In a bid to get better and better, the L&D team reached out to listen to the voice of the people who were experiencing the learning-change first-hand. Feedback and testimonials were collected on the digital learning initiative with respect to content, experience, and usefulness of the program, which was also published to show employees the importance of the initiative and to emphasize what the fellow colleagues felt about the initiative. A learning dashboard was designed and shared with the senior management team to highlight learning metrics, department wise. Adoption rates related to participation, completion, unique log-ins, consumption durations, and active users were tracked. The team was driven to improve learning compliance and utilization of the digital learning portal to make it sustainable. Within three months of launch, the dashboard threw up congratulatory numbers- 97.4% of participating users, 98.2% of distinct logins, 3653 person hours of total training consumption with 4.9 Avg. per person hour, 2319 course completions and 231 unique active community users. The new learning paths provided a clear direction for learning, fostering better engagement and open communication. Organizations seeking to embark on an e-learning initiative or are trying to adopt a digital learning culture must remember two things: 1) Focus on role based learning and 2) Identify an innovative communication and engagement strategy with their staff. This is just the starting point and there is no stopping Equiniti in achieving bigger and better results. EQI is also stepping into promote community learning in a huge way with various offline communities in place with a focus, “start small, grow bigger”. Learning is expected to be even more incremental with Communities of Interests (CoI). Next on the cards is to use this role-based digital learning template and replicate the success to other markets. The key to success in the Learning and Development realm is to not treat it in isolation, but as an integral part of employee engagement, retention, career progression, performance management and other HR processes. L&D must also be tied to the external job market, opening up new career avenues by helping people pick up the market-relevant skills, which keep changing with time. Most importantly, progressive learning and development is about balancing the organizational needs with the employee aspirations, taking both together on the path to success. NEXT STORY: Should you invest in 'HR Tech' start-ups?